* Chinatown, Philadelphia on Cherry Street with a red car! Last Sunday while on our way to the Convention Center, I was happily and with a keen eye for color themes for Ruby Tuesday snapping photographic images. This photo really captured my eye. A traffic jam gave me the opportunity to take my time with several photos of this block of restaurants. Lucky me. How many red items do you see? The photo is at the intersection of Cherry street with a red news-stand box, a ruby car, and the gorgous red building. 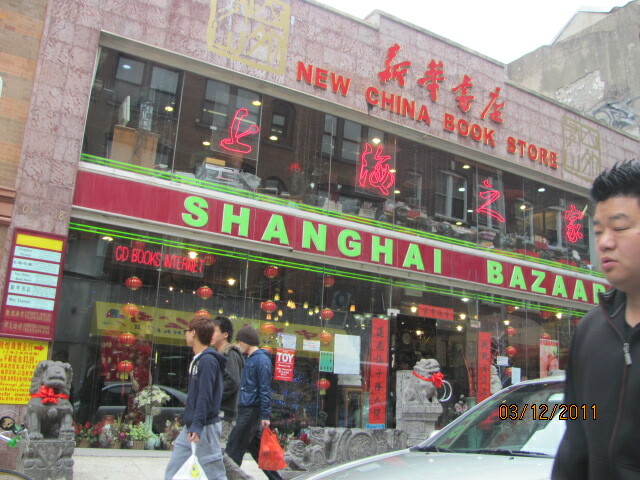 Shanghai Bazaar, who loves to shop and browse? 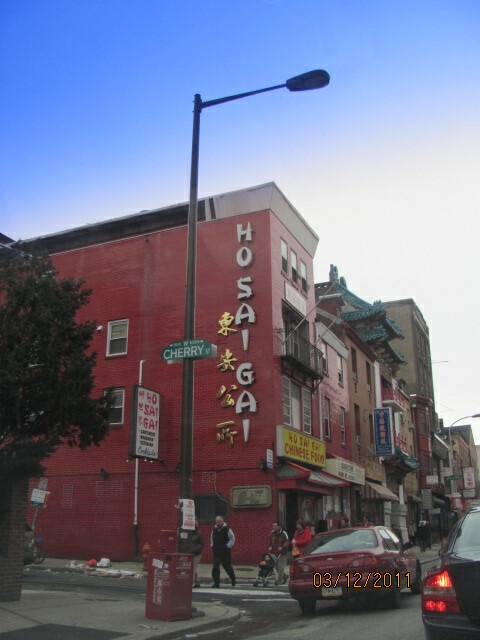 We were on our way to the Philadelphia International Flower show, but one day, we’ll park close to this Chinatown area and browse these shops and restaurants. On another post, I’ll display some of the floral contest images and indoor garden/patio artistry. Sorry, that I’m a day late, as I was feeling under the weather yesterday. Thanks for visiting and especially to Ruby Tuesday participants from around the world. I’d love to hear from you and I’ll visit your photos as well. Please join ” Work of the Poet” at the following web address for many more Red and Ruby themed photos each week on “Tuesday”.